One of my partners recently published an article, Prevent & Detect Fraud Before It’s Too Late. The article focused on a number of areas and explained how analytics can be used to prevent losses. He noted that many Los Angeles and Southern California business executives might believe that fraud and embezzlement are not something that could ever occur in their businesses because they trust their employees. However, the truth is that fraud and embezzlement can happen in any business, and it’s often long-time, trusted employees who are the perpetrators. The absence of proper procedures and controls increases the risk of fraud, but this risk is easily ameliorated with the help of an expert to implement inexpensive basic daily safeguards. The vast majority of fraudulent activity involves the misappropriation of assets. Smaller businesses are more susceptible to this type of fraud because small staffs make it difficult to implement appropriate internal checks and balances. Losses frequently exceed $100,000, and recoveries are rare. 1. Hiring procedures for employees who will handle money or be involved with inventory/purchasing must include background checks. A history of frequent job changes is also a red flag. 2. Use an outside third party (bookkeeper or CPA) to reconcile bank accounts, or at a minimum review them. 3. Maintain a strong “tone at the top” culture that emphasizes ethical conduct, as the behavior demonstrated by management will have a strong effect on employees. 4. Train your staff about good internal control procedures, and the importance of following them in their daily activities. 1. At least two people must be involved in vendor/purchasing activity and the payroll function to eliminate the opportunity to create fictitious suppliers or employees or the ability to make unauthorized purchases that then get delivered elsewhere. 2. Never give one person complete control over the banking activity. There should always be internal segregation between at least two people related to deposits, check writing, signing and mailing, and the corresponding recording of accounts receivable and accounts payable activity. 3. Cycle counts and physical inventories must not only be taken, but also reconciled promptly to identify discrepancies that must be investigated. 4. Insurance must be carried to cover losses from theft. Commercial crime policies generally include a number of coverages, including employee dishonesty. 1. Physical security, including video surveillance, is essential for companies with inventory to discourage theft/shrinkage. 2. Utilization of lock boxes or ACH payments, or payment software tools like Bill.com also can provide another level of security. The second person may well be the founder, but it’s essential a second person is involved. 3. Access bank accounts online using a key fob, which is a two-way authentication system that displays a numerical code that has to entered by a user before the bank’s Website can be opened. 4. Use Positive Pay, a service available from your bank that ensures that only checks that appear in a file received from your Company will be processed. § Early detection of any fraud attempts so they can be stopped immediately. § Safeguarding the assets of the business. § Improving the cash flow of the business, including reduced insurance costs. § Improved investor, lender, customer, and vendor confidence in management's control over the assets of the business and the ability to perform as promised. § The ability to produce evidence to support any fraud claims against perpetrators. In addition, a regular review of your business performance metrics will supplement the processes and controls mentioned above and will aid in overall management of your business. Don’t be naïve and think internal fraud or embezzlement couldn’t happen in your business. Small and medium-sized businesses are more susceptible to fraud because small staffs make it difficult to implement appropriate internal checks and balances. 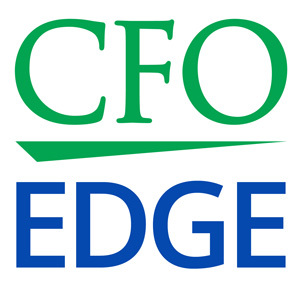 An outsourced CFO services provider can identify the specific fraud risks your company may be facing and help you implement processes and controls to minimize your employees’ opportunities to misappropriate cash, inventory, or other assets, thus safeguarding your assets and the profitability of your business.